A huge number of people attended on June 16, 2016, at the closing conference of the EU-funded project called ‘New dimension in social protection towards community based living’ carried out by FSZK Nonprofit Kft and Kézenfogva Foundation. The popularity of the events is primarily due to the professional work, the results of the Europe-wide unique social sciences research and the specific proposals for policies drafted on the basis of these results that were presented on the conference, which was deservedly well attended by experts. Another reason for the high number of attendees is the fact that the last national and international workshop was held on the closing conference, moreover, on the second day of the conference, the European Association of Service Providers for Persons with Disabilities (EASPD) held its open meeting in the same location, the Danubius Hotel Arena in Budapest. Therefore, it was not ‘only’ the closing conference for the successful project called ‘PROGRESS’ with a budget of EUR 227,766.83, it was also an impressive meeting, dialogue and consultation between the experts of disability from Hungary and other EU countries. As the opening of the closing conference, Imre Nyitrai, deputy state secretary responsible for social affairs (Ministry of Human Capacities), Franz Wolfmayr, director of EASPD, Pál Szekeres, ministerial commissioner responsible for disability and director of General Directorate of Social Affairs and Child Protection (SZGYF) and Péter Giflo H., managing director of Fogyatékos Személyek Esélyegyenlőségéért Közhasznú Nonprofit Kft (FSZK) welcomed the audience, and Miklós Szentkatolnay presented the framework and results of the project. The event was moderated by Ákos Pordán from Kézenfogva Foundation. After the openings, Anikó Bernát (TÁRKI Társadalomkutatási Intézet Zrt) held her presentation on the results and lessons of the aforementioned Europe-wide unique research that examined the life quality of people with disabilities and the related service costs in several target groups. The presentation of Luk Zelderloo, managing director of EASPD was also well attended. As an expert on the subject, he talked about the European situation of the transition from institutional to community based care, and the related trends, changes and opportunities. Following that, the experts in the audience had the opportunity to ask their questions in connection with the presentations, and after a short lunch break, the professional work continued in four sections: in the three sections held in Hungarian, the working groups appointed to draft proposals for policies presented the results of their work, whereas, in the forth section, which was moderated in English, the consortium invited the international participants to an open discussion. The programme did not end here: after the section meetings, the professional work continued in one conference room, and persons with different types of disabilities shared their story, experience and opinion on the presentations held earlier with the audience. This time, the project management was interested in the personal opinion of Pál Szekeres (SZGYF) and László Szőke, and together with György Kalányos, József Lózsi and Zoltán Iván, who were transitioned from institutional care within the KULCS project, and are currently living in their own households, these five young men personally affected by disabilities shared their exciting story, personal experience and opinion with the audience. In conclusion, the closing conference was a great success among those experts who honoured their colleagues working on and contributing to the project with their presence and attention, and the project management was pleased to see that everyone was open to the constructive professional dialogues which aim at improving the current system and the life quality of people with disabilities. At the end of the closing conference, we had the feeling that something has just started. Thanks to the research and the proposals for policies, the project ‘PROGRESS’ will not be ended, and we hope that, as a result of the work, as the title of the project indicates, the project opened a new dimension for the social protection of people with disabilities. This could be the real measure of the project’s effectiveness. We would like to draw your attention on a Europe-wide unique research carried out within the tender called ‘New dimension in social protection towards community based living’ by FSZK Nonprofit Kft and Kézenfogva Foundation. The research aims at examining the different housing opportunities (institution, residential care, family) available for people with disabilities (in this case, people with mental disabilities, autism, multiple disabilities and psycho-social disabilities) and their impact on life quality and comparing this impact with the financial resources allocated to these services. The research is unique both in terms of its methodology and its complexity, since, in the subject, this is the first research of this magnitude. On the closing conference, we plan to share our experience with other professionals. We would like to share and discuss our experience with other professionals, and reflect on the future together. We have already organised workshops in Budapest, Szeged and Miskolc, they all enjoyed great success, and we hope that our workshop in Kaposvár will be followed with great interest as well. We are pleased to invite you and ask you to contribute to our work with your knowledge and experience. As the dissemination of the results of the project entitled ‘New dimension in social protection towards community based living’, after the first national and international workshops held in Budapest, the project management presented the results of the research and the project on April 12, 2016, in Szeged, and one week later, in Miskolc. The three-location road show in the country aimed at presenting the results of the research carried out by TÁRKI Társadalomkutatási Intézet Zrt and examining the life quality of people with different types of disabilities, the related service costs in different housing forms and the report drafted based on the research. Above all that, the project management formed by Fogyatékos Személyek Esélyegyenlőségéért Közhasznú Nonprofit Kft.and Kézenfogva Foundation placed increased emphasis for interactivity, and they consulted with the experts on the events held in Szeged and Miskolc, in order to take into account their opinions and advices for a more authentic and reflective elaboration of the proposals for policies. On the part of the project management, after presenting the framework of the project and the results of the research carried out by TÁRKI, Miklós Szentkatolnay and Ákos Pordán answered the questions of the local experts. Thereafter, the three working groups appointed to draft proposals for policies presented their work, which was followed by an interactive discussion: the experts in the audience had the opportunity to give their opinions on the works of the working groups, and share their proposals, advices and aspects concerning the elaboration of the proposals, primarily based on their practical experience gained in the region. The discussion between the speakers and the audience was extremely constructive at both events, and the appointed experts are still able to include the findings in their proposals for policies. Within the framework of the project of FSZK Nonprofit Kft and Kézenfogva Foundation, called ‘New dimension in social protection towards community based living’, TÁRKI Társadalomkutatási Intézet Zrt drafted a closing report entitled ‘Life quality of people with disabilities and service costs in different housing forms’. We are pleased to share the report with those who are interested in this subject. As the title indicates, the research aimed at examining and comparing the life quality of people with different types of disabilities and the related service costs on the basis of whether they live with their own families, in large residential institutions or in residential care. A research on the life quality of people with disabilities and the related service costs has never been carried out before with such depth and complexity, examining so many target groups and forms of housing, therefore, the research is unique not only in Hungary, but also at a European and worldwide level. 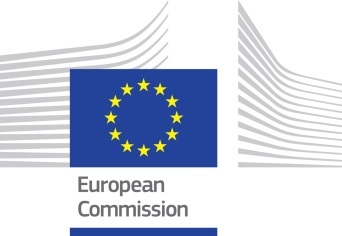 The project also aims at ensuring that the experience and results gained from the research and the report are used effectively, therefore, the project management appointed 9 experts to elaborate proposals for new policies and present them to the Ministry on the basis of the results of this report. Within the framework of the project called ‘New dimension in social protection towards community based living’, on March 31 and April 1, 2016, in the centre of Fogyatékos Személyek Esélyegyenlőségéért Közhasznú Nonprofit Kft, we organised our first national and international workshop. On the event, the results of TÁRKI’s social sciences research assessing and comparing the life quality of people with different types of disabilities, the cost-efficiency of the different housing, as well as the proposals for policies drafted on the basis of the experience gained from the research were presented to the professional audience who were present in great numbers. Nothing indicates more the increased interest towards the proposals for policies and the results of the research than the fact that nearly 2-3 days after the invitations were sent, all of the places were filled, and after that, the project management formed by Fogyatékos Személyek Esélyegyenlőségéért Közhasznú Nonprofit Kft and Kézenfogva Foundation could only accept a very limited number of applications. As the experience gained from the first workshop shows us, there is a need for the discussion with experts, since, given the high standards of the research, its results and the proposals for policies represent, all experts have opinion in the subject. The discussion between the speakers and the professional audience that followed the presentations of TÁRKI and the three working groups appointed to draft proposals for policies was constructive, interactive and professional, and we strongly believe that it will contribute to the elaboration of the proposals, since it allows the working groups to take into account new aspects. The materials are still in progress, the version presented on the workshops was the ‘draft 0.0’, the final proposals will be drafted by May 30, 2016. The international workshop held on April 1 launched a professional discussion similarly constructive to the one launched the day before on the workshop organised for national audience. After Miklós Szentkatolnay professional leader presented the framework of the project to the audience arriving from five countries (Denmark, Latvia, Poland, Slovenia and Slovakia), and TÁRKI held its presentation in English, the participants heard presentations on the current situations of the transition from institutional to community based care in the participating countries. These presentations were followed by a constructive discussion which aimed at elaborating proposals for policies at European level based on the results of TÁRKI’s research and the information available on the current situations of the transition from institutional to community based care in the participating countries. After the event, the working groups continued to work on the proposals for policies, and to prepare for the two following workshops which will be held in April. Everyone interested is welcome on the workshops (see above for details). The implementation of the project of FSZK Nonprofit Kft and Kézenfogva Foundation, called ‘New dimension in social protection towards community based living’ (Reference No. VP/2013/013/0057) is at an advanced stage of development. The backbone of the project is the research and report carried out and drafted by TÁRKI Társadalomkutatási Intézet Zrt, as well as the proposals for policies drafted on the basis of the experience gained from the research, the professional experts and other studies in the subject. In its research, TÁRKI assessed and compared the life quality of people with different types of disabilities living with their own families, in large residential institutions or in residential care and the cost-efficiency of the different housing forms by different target groups by means of a questionnaire. Due to its depth and complexity, the research is unique not only in Hungary, but also at a worldwide level, therefore, we are confident to say that the material we collected during the project is quite serious and far-reaching. Its finalisation based on the remarks of the project management and the experts is currently being carried out by TÁRKI. We are planning to publish the report on FSZK’s website, as soon as they are finalised and considered official. In our last newsletter, in connection with the project of FSZK Nonprofit Kft and Kézenfogva Foundation, called ‘New dimension in social protection towards community based living’ (Reference No. VP/2013/013/0057), FSZK published an open call for application to participate in the professional working groups that are responsible for the drafting of policies within the project on the basis of the research carried out by TÁRKI Társadalomkutatási Intézet Zrt. The original deadline for application (October 21, 2015, 12 p.m.) was extended, the new deadline is October 30, 2015, 12 p.m. Professionals are invited to apply until this deadline. Pursuant to Paragraph (1) of Section 122/A of Act CVIII of 2011 on Public Procurement, in the subject of the project entitled ‘New dimension in social protection towards community based living’ (Reference No. : VP/2013/013/0057), FSZK Nonprofit Kft. launched a contract award procedure with invitation to tender and without a hearing, that falls under national treatment. The main objective of the project is to draft policies concerning the revision of the social services related to the replacement of residential institutions, whereas the subject of the procedure is to carry out a social sciences research which serves as a basis for the drafting of such proposals for policies. One objective is to carry out the cost-benefit analysis of residential institutions and families/independent households concerning the social services, another is to examine the life quality of the adults of the target group, who live in residential institutions and families/individual households. The target areas of the research include the currently existing residential institutions, the institutions currently participating in the replacement process, the residential care services, the subsidised housing services and the families/independent households. The target audience of the research are the adults with disabilities: people with mental disabilities, autism, multiple disabilities and psycho-social disabilities. Three organisations submitted a valid tender for the invitation published by FSZK Nonprofit Kft. Among these three organisations and based on the opinion of the evaluation committee, TÁRKI Társadalomkutatási Intézet Zrt became the winner. The organisation responsible for the research shall carry out the research and draft the report within 10 months. Since our latest newsletter, in the subject of the project of FSZK Nonprofit Kft and Kézenfogva Foundation, called ‘New dimension in social protection towards community based living’ (Reference No. VP/2013/013/0057), TÁRKI Társadalomkutatási Intézet has started to carry out its social sciences research. The data collection was preceded by a professional round table and a trial questioning (pilot phase of the research), with the objective to test the questionnaire, the accessible instruments and material for questioning, that is, the augmentative and alternative modes of communication and other methodological details of the questioning situation in the different target groups. the data necessary for the cost-efficiency analysis is gained from the director of the residential institution or, in case of families, the head of household. In case of people living with their families, the carer and the head of household are often the same person, which means that we fill out two questionnaires with the head of household. The data collection lasts until November 2015, and after that, the working groups will process the results of the research in order to elaborate the proposals for policies. FSZK published an open call for application to participate in the professional working groups, application is possible on the website of FSZK by filling out the following documentation. For further information on the project, please visit the following website. Pursuant to Paragraph (1) of Section 122/A of Act CVIII of 2011 on Public Procurement, in the subject of the project entitled ‘New dimension in social protection towards community based living’ (Reference No. : VP/2013/013/0057), FSZK Nonprofit Kft. launched a contract award procedure with invitation to tender and without a hearing, that falls under national treatment. The main objective of the project is to draft policies concerning the revision of the social services related to the replacement of residential institutions, whereas the subject of the procedure is to carry out a social sciences research which serves as a basis for the drafting of such proposals for policies. One objective is to carry out the cost-benefit analysis of residential institutions and families/independent households concerning the social services, another is to examine the life quality of the adults of the target group, who live in residential institutions and families/individual households. The target areas of the research include the currently existing residential institutions, the institutions currently participating in the transition process, the residential care services, the subsidised housing services and the families/independent households. The target audience of the research are the adults with disabilities: people with mental disabilities, autism, multiple disabilities and psycho-social disabilities. Three organisations submitted a valid tender for the invitation published by FSZK Nonprofit Kft. Among these three organisations and based on the opinion of the evaluation committee, TÁRKI Társadalomkutatási Intézet Zrt became the winner. The organisations responsible for the research shall carry out the research and draft the report within 10 months.